Potato chips, savory biscuits, nuts, processed snacks, and popcorn, among others qualify as savory snacks. They are salty food that are typically consumed between regular meals. So far, potato chips has dominated the global market for savory snacks due to its widespread popularity. A recent prominent trend in the market has been the rising concerns about health and wellness among discerning customers which has egged manufacturers to come up with healthy low calorie, low fat, and gluten-free products. The global savory snacks market is fragmented in nature with the presence of a copious number of small and big players. They try to outdo each other on the basis of quality, price, innovation, brand recall, service, distribution, and promotion. A report by TMR Research presents a 360-degree overview of the global savory snacks market. To that end, it provides a granular analysis of the factors promoting or hindering the market, the current competitive scenario, and the niche players in the market. It segments the market based of different parameters and studies each segment in-depth to understand its contribution to the market and its growth prospects. It uses industry-leading analytical tools to gauge the opportunities awaiting existing and aspiring players in the savory snacks market. The swift pace of urbanization and hectic life on account of work pressure have majorly contributed to the global savory snacks market. Owing to the lack of time, individuals are gradually opting for light flexible meals that are easily available. Not just that, they are increasingly opting for healthier snack options minus fat, calories, and gluten that are rich in vitamins and other important nutrients to complement their weight loss plans. Another crucial growth driver in the market is the increasing thrust on research and development to come up with better, innovative products and astute marketing strategies of top-tier players resulting in better brand recall. Going forward, savvy companies will continue to focus on product innovation factoring in consumers’ ever changing tastes, spending capacity and patterns, changing demographic trends, and different macro and micro factors. This would likely result in a raft of new products having different unique flavors, spoiling people for a choice. In the upcoming years, sale through supermarkets and hypermarkets are slated to gain further traction. Currently, North America dominates the global savory snacks market on account of the snacking habits of a sizeable proportion of the people in the region. Obesity concerns among the people has also led to healthy savory snacks being available in the market in the region. Buoyed by the U.K., Europe is another crucial market. In fact, the U.K. is one of the leading consumers of potato chips, nuts, and other savory snacks. In terms of growth, however, the Asia Pacific market is slated to outshine all other regions in the years ahead to become a market leader revenue-wise. China and Japan in Asia Pacific are predicted to be key markets in the near future in not just the region but in the overall global market. India is also expected to be a lucrative market. The widespread availability of a variety of snacks at reasonable rates will bolster the market in the region substantially. 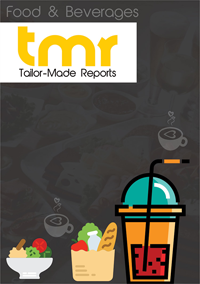 To present a detailed assessment of the competition prevailing in the global savory snacks market, the report profiles prominent companies such as ConAgra Foods, Inc, PepsiCo, Intersnack Group GmbH & Co. KG, Kraft Foods Group, Inc, Diamond Foods, Inc, General Mills, Inc, Kellogg Company, and Orkla ASA.